My closest ancestors were the hardest to find. Who would've expected so many twists and turns? My maternal grandmother's family is the one my mother grew up with. Most of them are the family I grew up with, too. The name that ties us all together is Saviano. My 2nd great grandfather Antonio Saviano was my Grandma's grandfather. He was my first immigrant ancestor, coming to New York in 1890, in 1892, and in 1895 with his eldest son, Semplicio. He returned to Italy one more time, bringing the rest of his family to New York in 1898. Antonio represents the core of my family. But I couldn't find any records for him in Italy. I climbed that family tree, eventually, by following a trail of breadcrumbs. Here's how it happened. Grandma used to say her family was from Pastene and Avellino. The first was hard to find on a map. The second is both a city and a province. The Saviano family's 1898 ship manifest said they were from S. Angelo. That's only part of a town name, so I couldn't find it. Then I found the ship manifest for my great grandparents. They followed the rest of the Saviano family to America a year later. Their manifest says they're from S. Angelo Cupolo. That's a little better. I started typing S Angelo Cupolo into Google Maps. I found the town of Sant'Angelo a Cupolo in the Benevento province. Better yet, the town has a hamlet to the north called Pastene. I'd found their hometown! 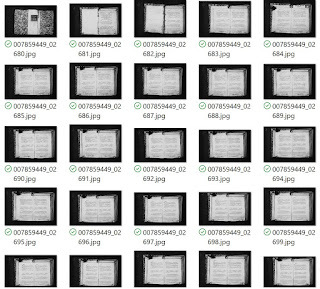 At that time I was ordering Italian civil records on microfilm to view at a local Family History Center. But they didn't have anything for Sant'Angelo a Cupolo or Pastene. I was stuck. I found the names of two hometowns even Grandma didn't know. In 1942, Antonio's eldest son Semplicio was 65 years old. If he were one year older, he wouldn't have had to register for the draft. But he made the cut-off and had to fill out a draft registration card. His World War I draft registration card doesn't even say where he was born. It says only that he was naturalized by September 1918. Luckily, Semplicio's World War II draft registration card says where he was born. It's misspelled and says "Tofo - Province Avilino". When I saw that, I knew "Avilino" was really "Avellino", the place Grandma had told me. Now all I had to do was find the town of Tofo. When I typed Tofo, Avellino, Italy into Google Maps, it suggested Tufo, Avellino, Italy. Eureka! When I looked at microfilmed records from the town of Tufo, I found Semplicio's 1877 birth record. I also found an older brother Raffaele who died before my great uncle Raffaele was born 9 years later. I found no other children, including my great grandmother. At that time, I didn't know where she was born, but it wasn't in Tufo. 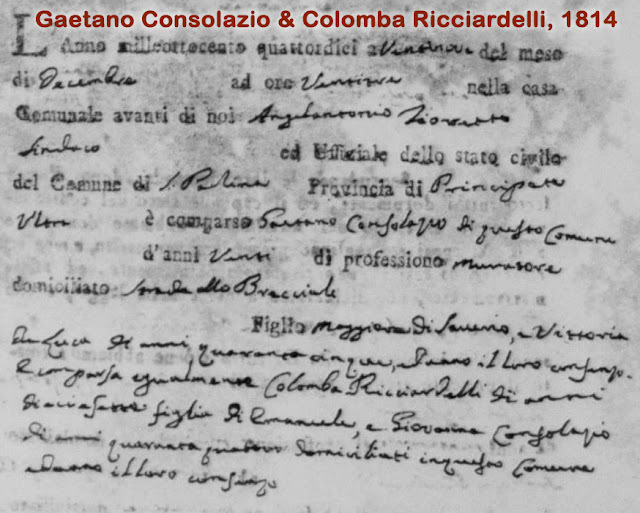 There was also no marriage record for my 2nd great grandparents, Antonio and Colomba. But I did find marriage records for two other men with my Colomba's last name: Consolazio. While examining these marriage records, I found an important clue. 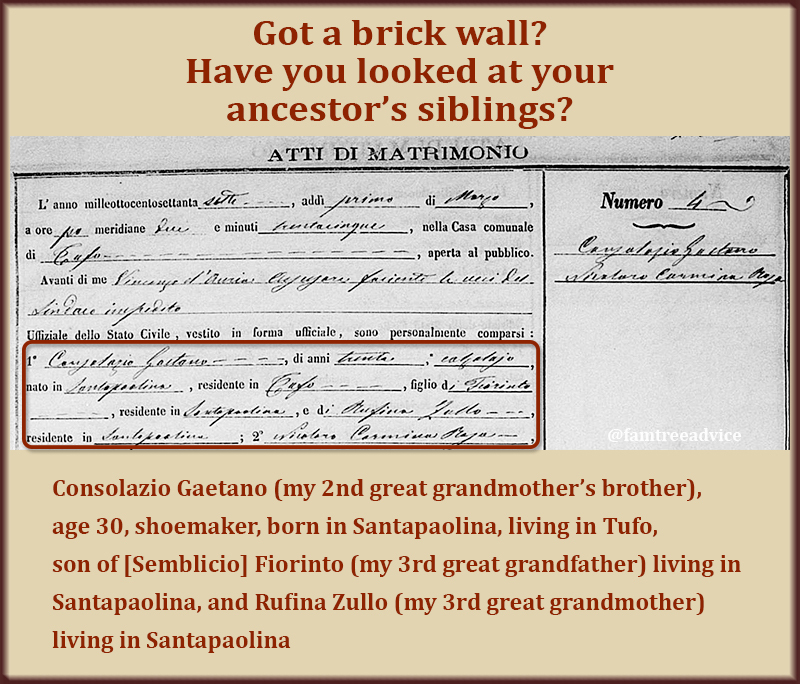 The Consolazio brothers' parents (my 3rd great grandparents) didn't live in Tufo. They lived in the neighboring town of Santa Paolina. My ancestor's brother's marriage record held a vital clue. Days before the Family History Center ended its microfilm program forever, I ordered film from Santa Paolina. Starting in 1874, I worked my way backwards through the town's marriage records. I was looking for Antonio and Colomba. In the 1871 marriage records, I found them! She was not named Colomba, but Vittoria Colomba Consolazio. Her parents were Semblicio (similar to her son's name) Consolazio and Rufina Zullo. He was Antonio Luigi Saviano, son of Raffaele Saviano and Grazia Ucci of Pastene. Pastene! Now I'd come full circle. Antonio Saviano was born in Pastene on 7 July 1843. He went to Santa Paolina and married Vittoria Colomba Consolazio on 1 June 1871. Santa Paolina is a 3-hour walk or a 2-hour mule-and-cart ride away from Pastene. The couple had their first child, Maria Grazia, in Santa Paolina. She died after 4 days. They moved to Tufo where 2 of Colomba's brothers lived. Tufo is a 1-hour walk or a 30-minute mule-and-cart ride away from Santa Paolina. Antonio and Colomba had 2 sons there, one of whom died. The couple moved back to Antonio's hometown of Pastene and had 4 more children, one of whom died as a baby. The whole family, minus my great grandmother, left Pastene for New York City in 1898. Antonio had made 3 trips to New York already, so they had a place to go. His son Semplicio was there waiting for them. My great grandparents, having had a miscarriage, left Pastene for New York in 1899. Grandma was "in the oven" at the time. Pastene civil records don't exist. 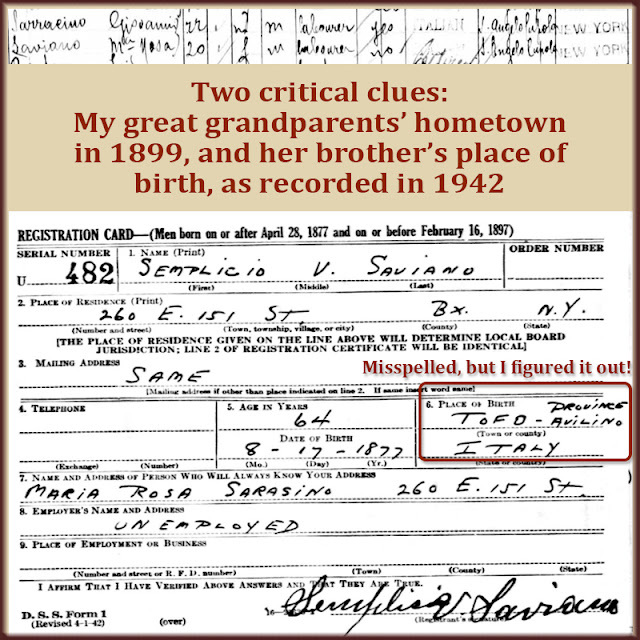 A professional Italian genealogist found almost nothing for the Saviano family, even in the church. 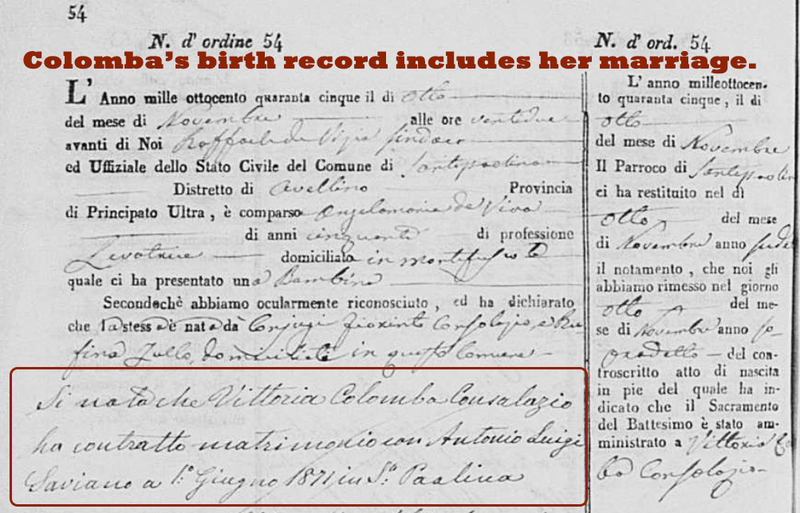 I found Colomba's 1845 Santa Paolina birth record. I found records for 4 previous generations on her father's side. I added the Ricciardelli name to my tree, connecting me with other genealogy fans. But Colomba's mother, Rufino Zullo, was a dead end. I couldn't find anyone else named Zullo in Santa Paolina. Once again, I needed to find and follow a breadcrumb. 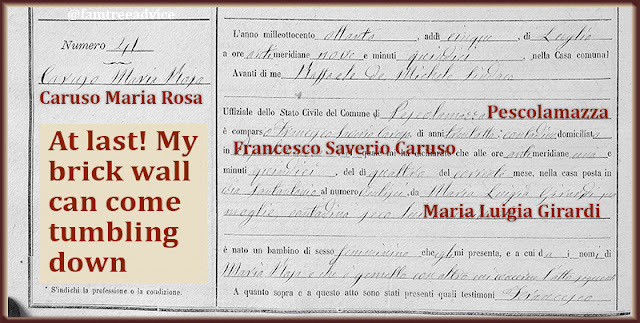 Rufina Zullo and Semblicio Consolazio posted their marriage banns in Santa Paolina in 1843. But they weren't married there. Note: When an Italian married in a town where they weren't born, they still had to post marriage banns in their hometown. They won't be in the index because they didn't marry there. But their banns should be there. 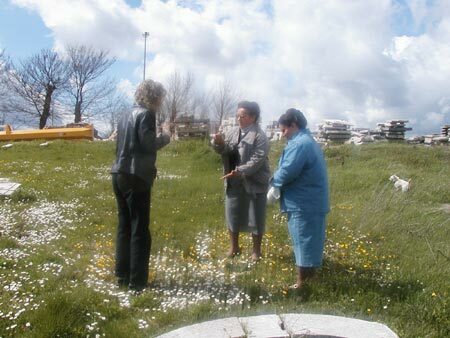 The marriage banns say that Rufina's parents live in Apice, in the Benevento province. Apice is about a 2-and-a-half hour mule-and-cart ride from Santa Paolina. That's pretty far! 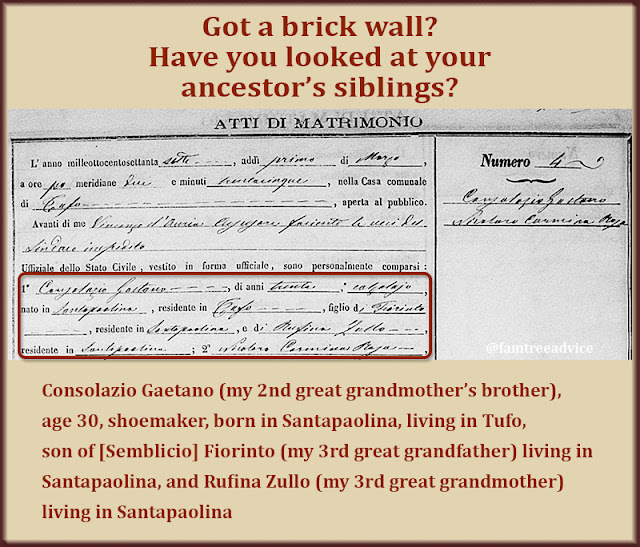 To learn more about my 3rd great grandmother, Rufina Zullo, I downloaded some Apice documents from the Antenati website. I found her 1843 marriage to my 3rd great grandfather. I found her 1816 birth record. I have more work to do, but so far, I've learned the names of her parents and her paternal grandfather. Saverio Zullo is my 5th great grandfather, born about 1764. 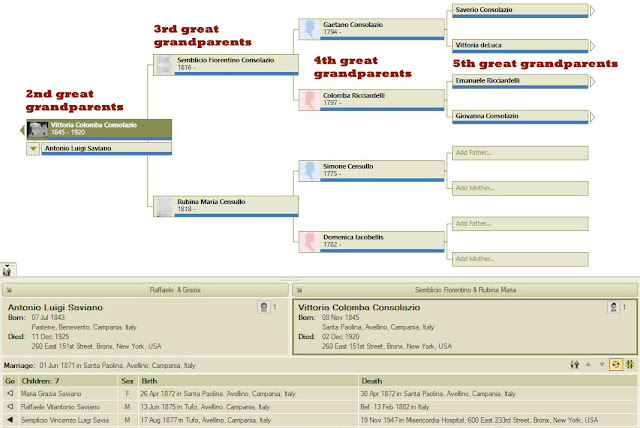 And my 4th great grandmother adds a new name to my family tree: Trancuccio. I found 2 DNA matches tying into my Ricciardelli ancestors from Santa Paolina. I've also got a new match on the Consolazio branch. Ancestry.com's new ThruLines™ feature showed me how my new match descends from the sister of my 4th great grandfather, Gaetano Consolazio. That information will help me as I build out the Santa Paolina portion of my tree. I had given up hope of finding out anything about this, the closest branch of my family tree. But unexpected clues—like my 3rd great uncles' marriage records—opened up the floodgates. Don't give up on a branch when the records run dry. There may be a trickle of detail coming from an unexpected source. 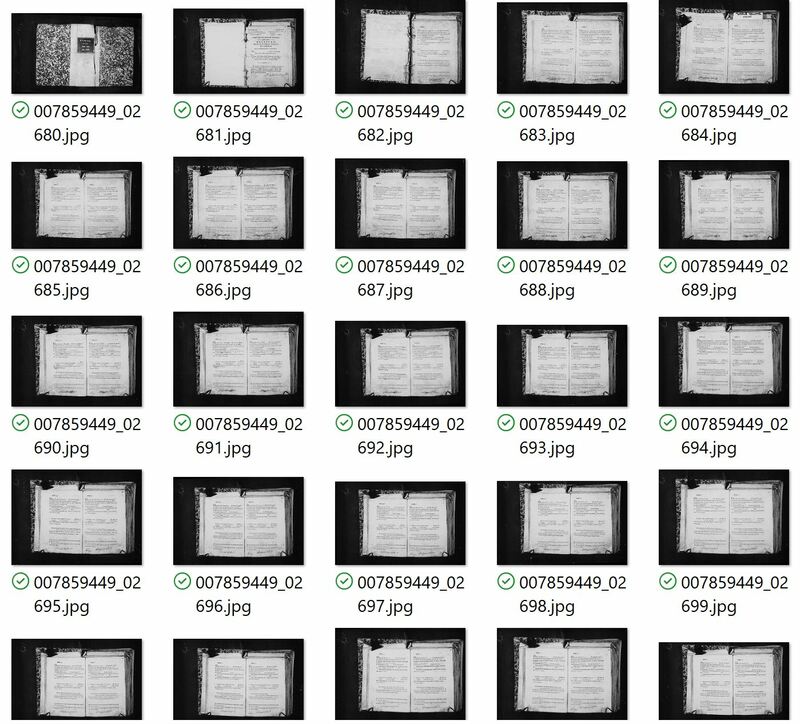 Is your family tree research stuck? Are you so overwhelmed by certain tasks that you're avoiding them? Is a brick wall stopping all other progress? You can overcome these genealogy blues with a simple plan. These brief spurts of activity will be as healthy for your family tree as a brief sprint is for your heart. Work on those tedious tasks in simpler chunks. 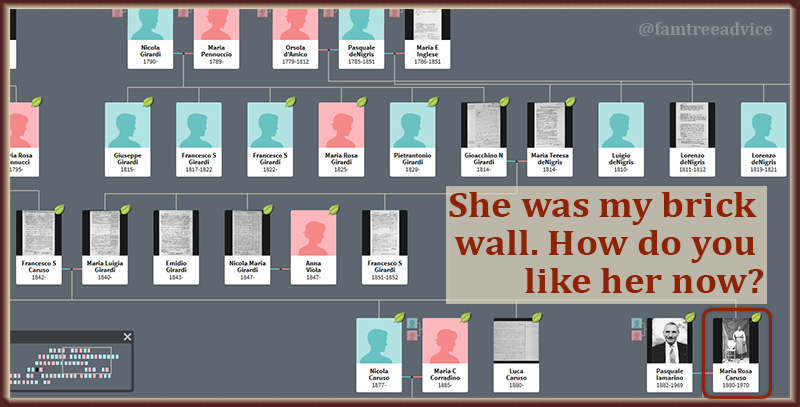 Avoid your brick wall and forge ahead with another branch of your family tree. Narrow your focus and score some big gains. This method will keep you productive and happy with your genealogy hobby. And you'll be learning along the way. "Fix all my source citations" is an overwhelming roadblock. "Fix my 1930 census source citations" is something you can tackle! Are you avoiding adding source citations to your family tree? Is the size of the project scaring you away? Break the big task into smaller pieces. Set aside chunks of time to devote to the task, and keep track of your progress. Don't let the overall task overwhelm you. Think of it as "today I'll start adding citations to all of my 1940 census tasks". Get as far as you can in the time you've decided to spend. Hopefully you'll either be eager to move on to the 1930 census, or eager to come back tomorrow and finish up 1940. Piece by piece you will tackle the task. Are you getting nowhere with one pesky branch of your tree? Leave it alone for a while. Focus on another branch and document the daylights out of it! Find every piece of supporting evidence you possibly can. You'll have an excellent example of how well you can do this. Your branch will be impeccable. Plus, working on perfecting an easier branch will teach you about certain resources and documents. It may inspire you to take a different approach to your brick wall branch.